Sounds impossible. Sounds improbable. It can be done. Morel mushrooms might just be some of the tastiest mushrooms to grow in North America. In my neck of the woods, the things can be found by taking a walk in the park, having a mushroom identification book on hand, and slicing them down the middle to be sure of no false-positives. One thing is for sure, morels are not easy to find (and can be dangerous if you don’t know what you are looking for). So why not take the guess work out of it entirely? Mushroom Appreciation.Com is a great resource for the mushroom lovers out there. 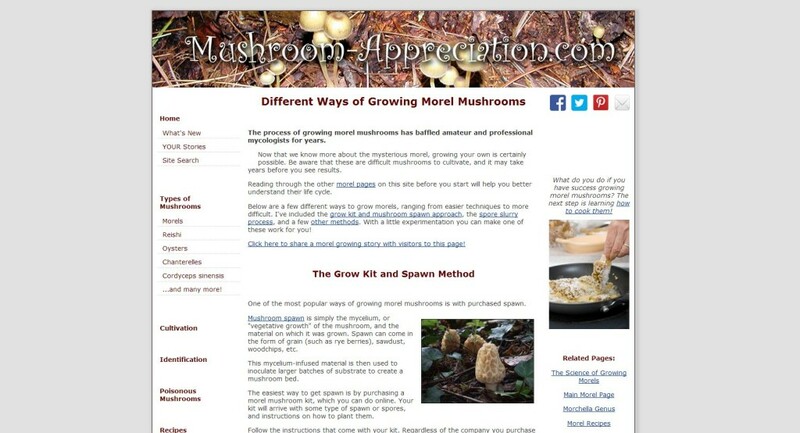 In one of their more useful posts, the site discusses four different ways to grow moral mushrooms at home. The article “Different Ways of Growing Morel Mushrooms” is a god-send for all those seeking a better, safer, more convenient way to enjoy the tasty mushroom treat.